Hot documentaries, reboots of classic horror franchises, plenty of politics, and of course Oscar-bait galas will be served up at this week's Toronto International Film Festival. 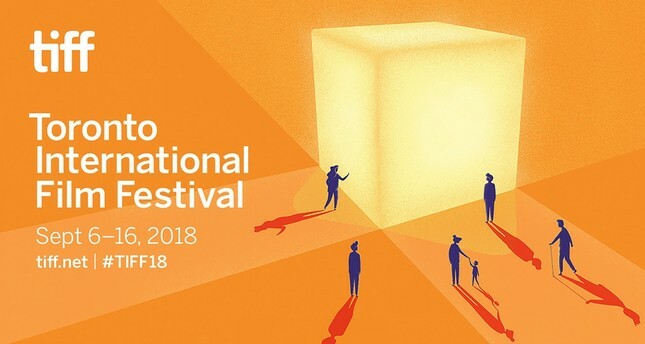 More than 300 feature lengths and short films from 74 countries - 31,300 minutes of film in total - will be screened at the 43rd TIFF, the biggest film festival in North America, which opens Thursday and runs through to September 16. The event is crucial for Oscar-conscious studios and distributors, attracting hundreds of filmmakers and actors to Canada's largest city. Big names set to make an appearance on the festival's 338 meters of red carpet include Alec Baldwin, Steve Carell, Penelope Cruz, Drake, Matthew McConaughey, Robert Redford, Chris Pine and Hilary Swank. Several directors will also make their English-language debuts, including Xavier Dolan with his much-anticipated "The Death and Life of John F. Donovan." Meanwhile Chilean director Sebastian Lelio, who earned an Oscar for the 2017 film "A Fantastic Woman," will premiere the English-language remake of his 2013 Spanish-language breakout feature "Gloria Bell," with Julianne Moore. "Adapting a film you've already made for a different audience and still keeping the heart of it is especially hard," said festival boss Cameron Bailey in a nod to Lelio's talent. Elsewhere, Hollywood studios are hoping to breathe new life into classic horror franchises "Predator" and "Halloween" at the festival's late night screenings. "What you're going to see this year is filmmakers diving in and grappling with the changes that we're seeing in society, and doing it in a number of different ways," Bailey told Agecne France-Presse (AFP). He cited examples such as Steve McQueen's thriller "Widows," starring Viola Davis, and Claire Denis's "High Life" with Robert Pattinson and Juliette Binoche. The former, he said, is a heist movie but McQueen, whose "12 Years A Slave" went on from winning the TIFF's audience prize for best picture to taking the top honor at the Oscars in 2014, also "weaves in an exploration of how Chicago is a kind of roiling, changing place where local politics, and racial and class divisions affect how people live their lives." Denis's film, meanwhile, uses outer space as a backdrop for "an exploration of gender issues," Bailey said. There is also a huge documentary lineup with profiles of legendary music producer Quincy Jones, influential director Ingmar Bergman and soprano Maria Callas, as well as "The Elephant Queen," which follows the journey of an elephant herd, and "The Truth About Killer Robots." "There's an increased interest in documentaries," Bailey said. "Audiences are searching for truth and are turning to filmmakers they trust." Several of the documentaries are still looking for distributors, so "they're some of the hottest films in terms of acquisitions," he said. For politicos, Michael Moore is back chronicling the rise of Donald Trump in "Fahrenheit 11/9," an unofficial sequel to his 2004 hit documentary "Fahrenheit 9/11," alongside exposes of strategist Steven Bannon in "American Dharma," and Russian leaders in "Putin's Witnesses" and Werner Herzog's "Meeting Gorbachev." Jason Reitman directs Hugh Jackman, Vera Farmiga and J.K. Simmons in the biopic "The Front Runner" about US Senator Gary Hart's 1988 presidential run that was derailed by a scandalous affair. In past years, films such as "Spotlight," "Slumdog Millionaire," and "The King's Speech" went on from winning the Toronto festival's audience prize for best picture to take the top honor at the Oscars. Many of the films positioned for accolades this year - including a remake of "A Star is Born" with Lady Gaga, Damien Chazelle's "First Man" starring Ryan Gosling as astronaut Neil Armstrong, and the western "The Sisters Brothers" starring Joaquin Phoenix - will have already premiered at the Venice or New York film festivals before they are screened in Toronto. In 2017, Toronto helped launch Barry Jenkins's "Moonlight" toward the Oscars, after it premiered at the Telluride Film Festival in Colorado. But he's chosen this year to unveil his latest "If Beale Street Could Talk," set in 1970s Harlem, about a woman trying to free her falsely accused fiance from prison, in Toronto.